KAPALUA — At 7,518 yards long, the Kapalua Plantation Course is already the fourth-longest of the 51 events on the PGA Tour. The course is set to undergo major renovations that will cost more than $10 million after the Sentry Tournament of Champions finishes on Sunday. The course will shut down on Feb. 11 and remain closed until November. • Green complexes will be reconstructed and then resurfaced with TifEagle Bermuda grass. • Fairways, rough and tee boxes will be re-grassed using Celebration Bermuda. • Bunkers will be renovated, and some will be eliminated or relocated. 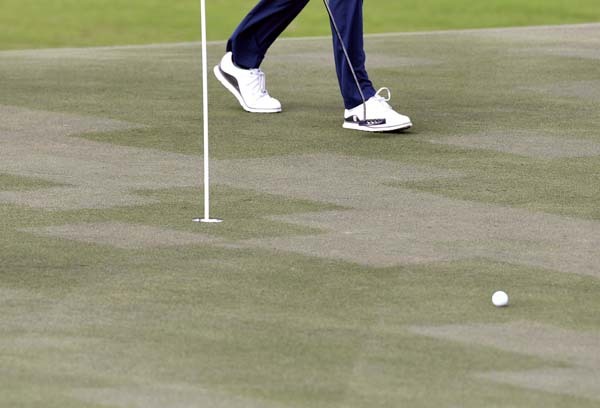 • Greens will be refined to create more options for hole locations (without changing the character of the greens). • All existing tee boxes will be rebuilt and additional tees will be added, including a significant number of new forward/family tees. A new combined back tee will be added for holes 3 and 9. 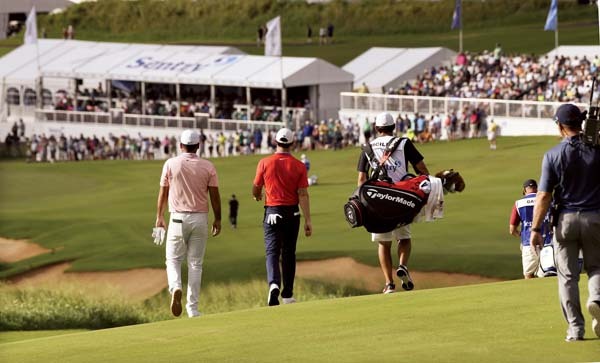 The challenge is to keep the course resort-friendly and tournament-worthy. Course architects Bill Coore and Ben Crenshaw are on site this week to look at how the course is playing during the 21st edition of the Sentry Tournament of Champions. Coore said the hope is to rejuvenate the course. “Our hope is that the golf course that will be presented next year will be more of a restoration and rejuvenation, maybe refinements in certain areas, but a restoration of what the course was in its early days,” Coore said. “There’s no intent on our part to create a golf course that’s unrecognizable from what’s been here before. It will just be a more polished version of that, and in many ways we hope will address developments, evolution that’s happened with the best players in the world. Mark Rolfing, an NBC and Golf Channel analyst who has lived in Kapalua for 40 years, said the changes to the course are vital. His unofficial Kapalua International event was the predecessor to the TOC, which began in 1999. “It’s the right time for the restoration, there’s no question about it,” Rolfing said. “The Plantation Course has changed, for a number of reasons, but it’s also almost 30 years old. As much play as this course gets, it’s tired and it’s time for a renovation. The trick is going to be how do you accommodate 51 weeks a year of resort and do what is best for that and at the same time how do you challenge the best players in the world whose games have changed over that 30-year period more than any other 30 years in the history of golf?